Lesjöfors are one of the worlds largest and most diverse spring manufacturing Groups, with customers, both large and small, including the likes of Volvo, Scania, JCB and Sony Ericsson. 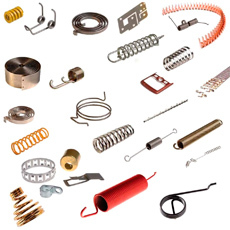 Activities are organised into three divisions: Industrial Springs, Strip Components, and Automotive Aftermarket Products. Each division is structured to accommodate either small series or high volume production. Manufacturing or distribution operations are currently established in Sweden, Finland, Norway, Denmark, Slovakia, Germany, United Kingdom, USA, Mexico, Russia, Netherlands, Latvia, South Korea, Thailand, Singapore, and China. Lesjöfors constantly strives to advance its market position through both organic growth and acquisitions.